This cake recipe is both delicious and gluten free. 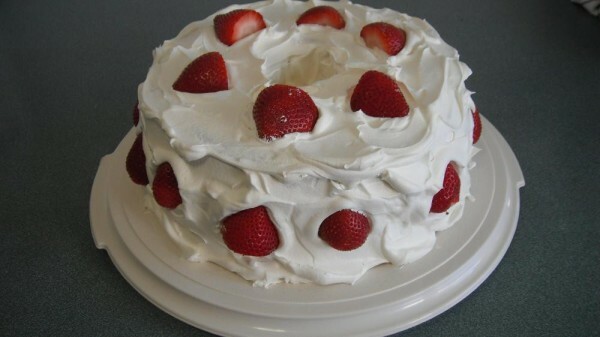 This page shows you how to make gluten free strawberry delight. My daughter gave me the recipe to try. I made it gluten free for my son's birthday. He and I both are allergic to wheat gluten and this cake is a real treat for us. It's so good, we made a pig of ourselves eating it. Strawberries are about to go out of season but you can leave them off and just use the strawberry glaze and it is still good. When I get my family together, this is what they want for dessert. 1 pt whole fresh strawberries, halved. 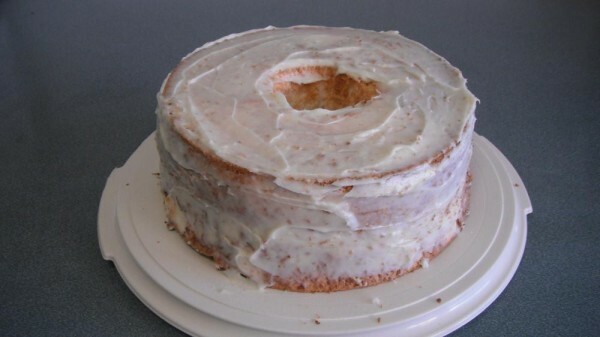 *This recipe calls for Angel Food Cake. 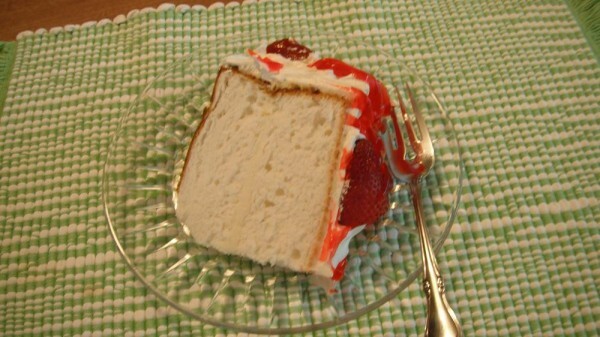 For a delicious homemade gluten free angel food cake, use my recipe posted on Thrifty Fun. Let cream cheese sit out until it is soft. 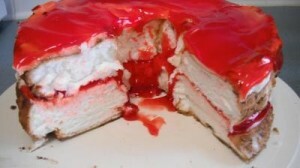 Cut cake in half across to make two layers. In mixing bowl, beat cream cheese, confectioners sugar and milk until smooth. Spread between layers and stack on a cake plate. Spread remaining mixture on top and around sides of cake. Place in the refrigerator and chill for a couple of hours or over night. Frost cake all over with Cool Whip. 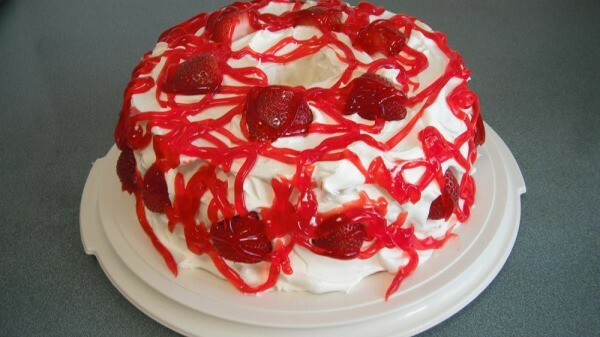 Decorate with the strawberries and drizzle with strawberry glaze. I made this cake again and spread the strawberry glaze over the cream cheese frosting. When I served it, I topped it with whipped cream. It's not pretty but it sho is good. I love this cake!! Our son and I have to have gluten free food. Today is his birthday and this is what he wanted for his birthday. I'm looking forward to having a slice myself.